Autumn really is a special time in the Garden. With our close proximity to Georgian Bay we don't usually have frost until after Thanksgiving and this year was no different. 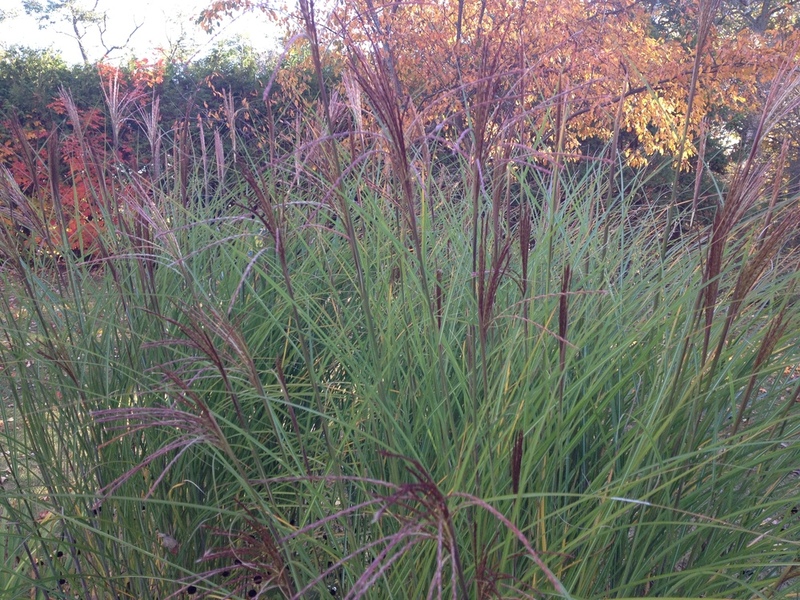 As the flowers begin to fade, the autumn grasses come into their own. Backlit by the low sun, they are not only beautiful but interesting looking as well. Fall colour? Yes, we have plenty of that. The sumacs and spireas around the base of the Tower are like a wreath of blazing colour. Blue is a fall colour too. The sky and water seem bluer than in the summer time (less humidity in the air?). Check out the view of the harbour revealed by pruning done by the Gardeners. It's even more spectacular from the top of the Tower. The leaves collecting in the pond release their tannins and make the water almost black. 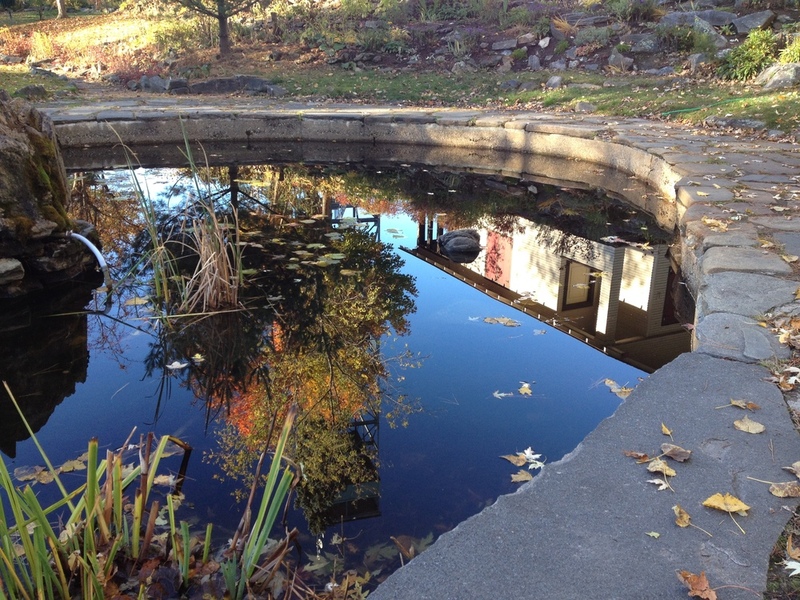 All the big botanical gardens have a reflecting pool and on a sunny fall day we have one too!